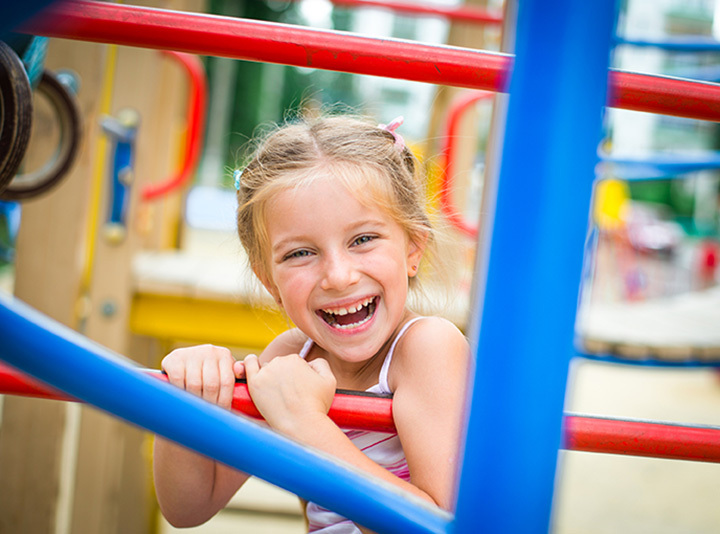 Featuring obstacle courses, slides, swings, and more, West Virginia’s wonderful playgrounds offer a space for children to burn off energy and unleash their imagination. The state’s magnificent landscape truly makes it a special place for a playground. Here are our favorites. Established in 1976 by a joint effort between several state agencies, Martinsburg-Beckley County Parks and Recreation oversees the Poor House Farm Park, part of the program. Serving more than 10,000 children each year with summer camps and programs, the barn can be rented for private and public events, visitors can swim at their choice of several pools, and dance at the studio. There are also two gymnasiums with an obstacle course and teams for basketball, volleyball, and other sports are available year round. Known by many local residents as the heart of Huntington and the crown jewel of the park district, Ritter Park is a beautiful place to spend time with your friends and family. The 72-acre park has been named one of the 10 “Great Public Spaces” by the American Planning Association, and features a limestone loop trail that can be used by walkers, joggers, and bicyclists, a rose garden, dog park, tennis courts, and two playgrounds, a large picnic shelter, and an outdoor community theater that has seasonal shows and events. Clarksburg, West Virginia is one of the family-friendliest places in the state. Great attention and care is taken to preserve the recreational areas around the city and promote activities that are healthy and provide learning and enrichment activities for people of all ages. Children will especially enjoy Veteran’s Memorial Park with its Splash Zone, a fun-filled water play area and pool that’s open between May and October. There’s also an 18-hole miniature golf course, a nine-hole disc golf course, and a pickleball court. No matter what age you are, it’s always good to get outside and enjoy the sunshine and fresh air. Lewis County Park in Weston, West Virginia provides many opportunities to do just that. It’s so much fun that you and your family may not want to leave! Besides the gorgeous valley and hills that surround the park, there’s a pool for swimming, a putt-putt golf course, a playground, tennis courts, a sand volleyball court, picnic areas, and rentable pavilions. Concerts, festivals, little league games, a community center, playgrounds, horseshoe pits, and a sand volleyball court await you at Sam Michael’s Park in Harpers Ferry, West Virginia. There are so many things to do in the 138-acre park that you’ll spend the whole day having fun. The playground and picnic area are located at the Veteran’s Memorial Pavilion. You can play all afternoon, then fire up the grill and roast some hot dogs or burgers before heading home. Bringing the community together was the goal of the Pisgah Community Association, and in 2009, the park was created to offer children who lived in the area the chance to enjoy being outdoors in a safe and well-maintained place. Approximately 200 children and their families make use of the park every year, and there’s a playground designed for ages two to five years, a climbing wall, basketball court, volleyball and badminton court, horse shoe pits, and a picnic shelter. Children and adults with handicaps are not excluded and have access to swings and the picnic area, too. Oglebay Resort in Wheeling, West Virginia is one of the state’s premier locations for year-round fun. During the summer months, Schenk Lake is the place to bring the kids because there’s pedal boating, aqua cycles, and kayaks for a fund day on the water, miniature golf for the whole family, and a playground that features kid-friendly equipment and a safe and soft surface to avoid skinned knees and elbows. Mason Dixon Historical Park in Core, West Virginia, is a 295-acre publicly-owned wonderland for kids. Established in 1970 with the goal of being a commemorative effort remembering the work of Charles Mason and Jeremiah Dixon, the original surveyors of the property line that became known as the Mason-Dixon Line. There are many events during the year like a summer concert series that features music of all genres including Appalachian and Americana. The Mason-Dixon Line Festival is held every October, and there are square dances, and a pow wow sponsored by the Native American Community. The park has a brand new playground for children that opened in 2017. The playground has a play fort with slides and there are picnic tables nearby for enjoyment by the entire family.